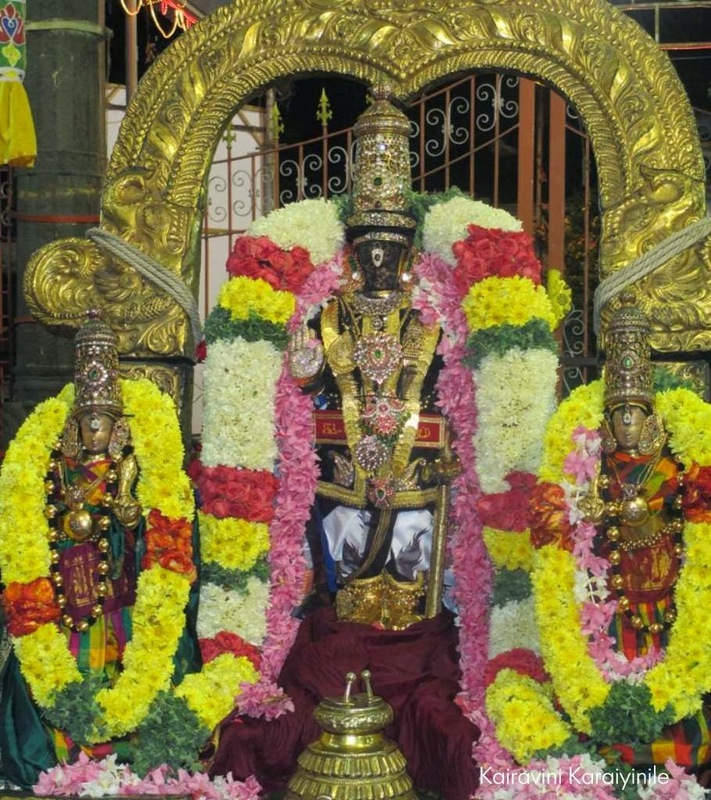 On the day of Vaikunda Ekadasi (11th Jan 2014), in the morning Sri Parthasarathi bedecked in precious jewels entered Paramapada vassal and gave darshan to His devotees throughout seated in the beautiful ‘Punyakodi vimanam’ at Thiruvaimozhi mandapam. The auspicious Vaikunda Ekadasi heralds the start of ‘Irapathu’ Uthsavam. As the name suggests, there will be celebrations for 10 nights. 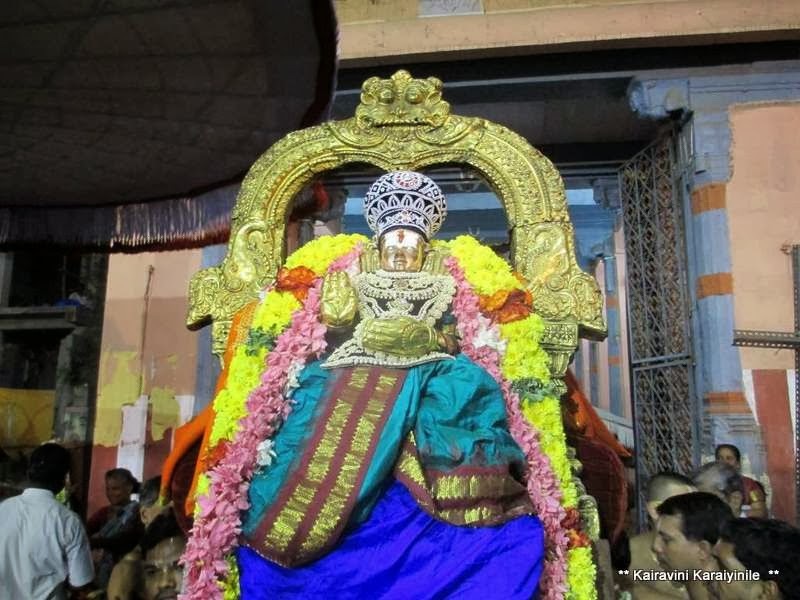 Those who frequent Thiruvallikkeni would know this….. still can you guess the time whence the Irapathu Uthsavam purappadu on day 1 took place and around which time – Thiruvaimozhi’ muthal pathu – was rendered ?? 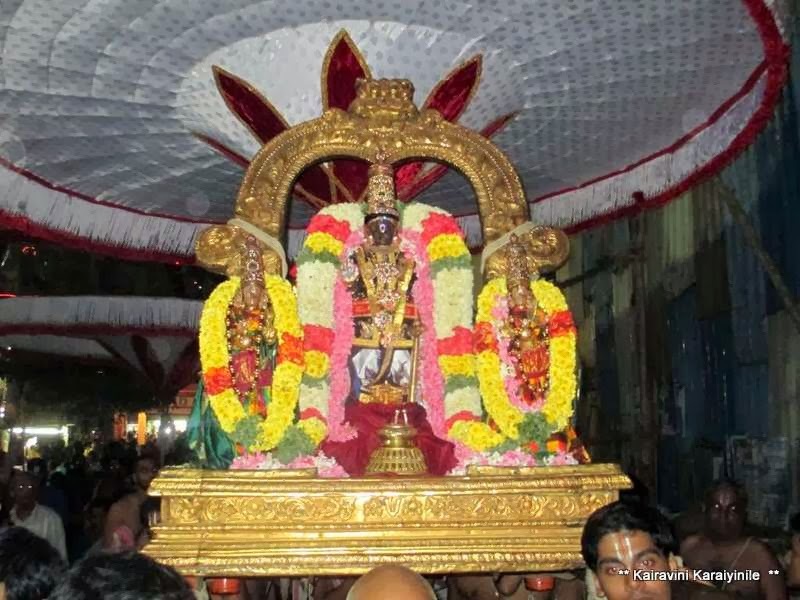 After Thirumanjanam, at around 01.30 (midnight i.e., early hours of 12th Jan 2014) – there was the Periya maada veethi purappadu – Irapathu day 1 purappadu. There were thousands of bakthas on the street waiting to have His darshan. 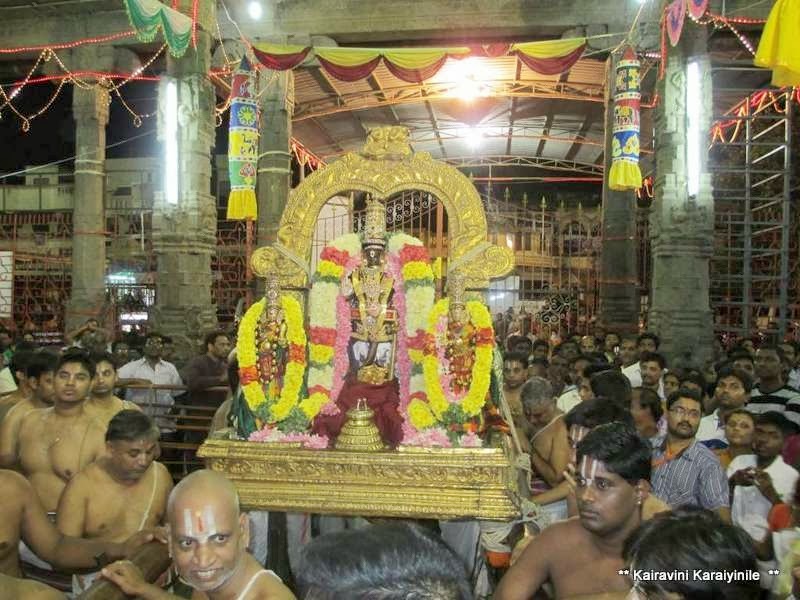 At around 03.00 am of today, there was the Thiruvaimozhi Muthal pathu goshti and sarrumurai…. and it was closer to 4 am when more than thousand people had the fortune of His theertha and other prasadams.